Top 6 LW: 20pts – Mactavish will need to sign a legit top 6 forward with NHL experience who has size, grit and skill to get full points. Size in the bottom 6: 15pts – The Oilers need 2 or 3 bottom 6 wingers who can contribute secondary 5×5 scoring. Grit and size recommended. 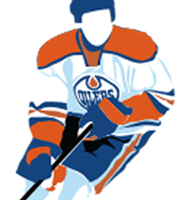 Top 4 D-man: 20pts – With NHL experience so Belov doesn’t count. Full points for a big D-man under the age of 30 with NHL experience who is a good skater and can move the puck. Top 6 D-man: 15pts – Top 6 D-man with size. This entry was posted in Player Signing, Uncategorized on July 19, 2013 by jtunnicliff. The Edmonton Oilers anounced today that they have signed 6’4, 219 pound defenceman Anton Belov to a one year entry level contract. This entry was posted in Player Signing, Uncategorized on May 30, 2013 by jtunnicliff.